A solar chimney power plant (SCPP) is a renewable power technology which is able to convert heat energy from solar radiations to mechanical powers. In this study, the influence of geometric variation of the tower on the Air Velocity of one SCPP is numerically investigated. 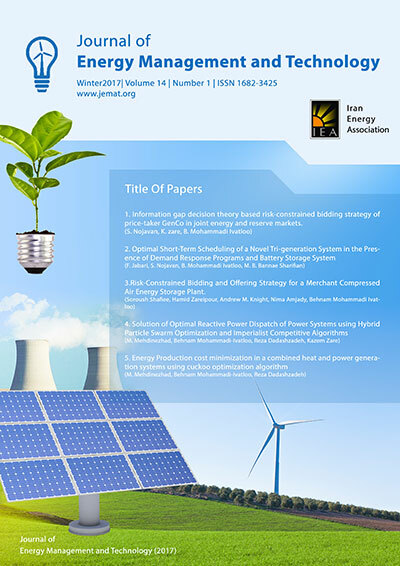 Regarding the importance of the kinetic power of the hot air on power generation of SCPP, This article aims to propose an approach to increase the air velocity by considering the various forms of the chimney without changing the main dimensions of SCPP. This approach increases the efficiency of the power plant. For the numerical simulations, a commercial CFD code solves the governing equations using the finite volume method. To simulate the problem in the 3-dimensional setting, by cutting a 15 degrees wedge out of the whole power plant geometry, a pi-shape domain is created. In order to validate the obtained results, the Manzanares Power Plant experimental data are utilized. In this study, ten forms of chimney wall based on a logical procedure are examined. By considering this procedure, an appropriate divergence form for the chimney wall is obtained. These results indicate that the final form (i.e. the divergence form of the chimney wall) has the highest updraft air velocity which is an important factor on wind turbine power generation. In addition, the average updraft air velocity increases from 15.66 m/s for the basic form to the value of 22.52 m/s for the best form (form 7), (i.e. the increment of around 43.81%).